The Kettler Kettcar trailer can quickly become a great assistant for your child to realise new ideas to play. The bright red companion for all tours on the Kettler Kettcar can be loaded with many things like sand, straw or grass. Thanks to big, silent wheels, transporting with the Kettcar trailer makes a lot of fun. 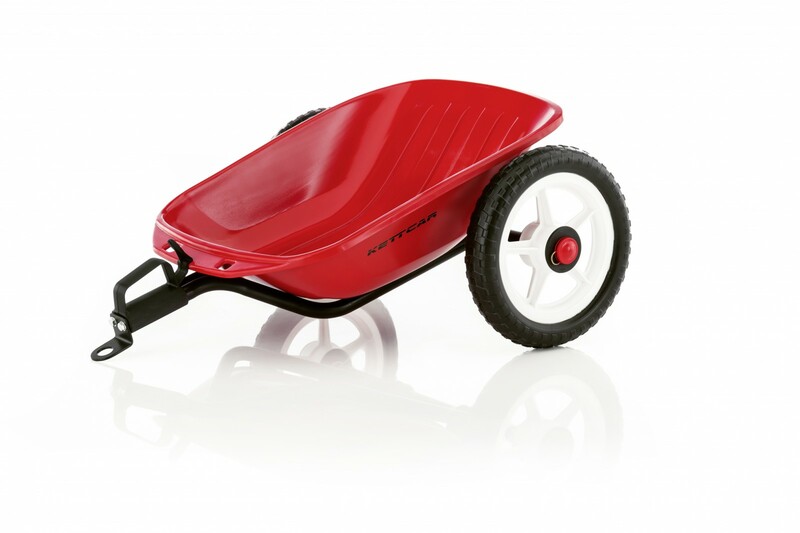 The Kettler Kettcar trailer is equipped with a high-quality and sturdy plastic basin, which is easy to clean. The very sturdy plastic basin can be loaded with a maximum of 5 kg. Loading and unloading the trailer is easily done with the easy-to-use toggle. The Kettler Kettcar trailer is compatible with all Kettcar models except the Kettcar Indianapolis Air. The trailer coupling required for mounting on Kettcars is included in delivery. My grandson will enjoy carrying things around in the trailer and it is easily attached and detached from the go kart.